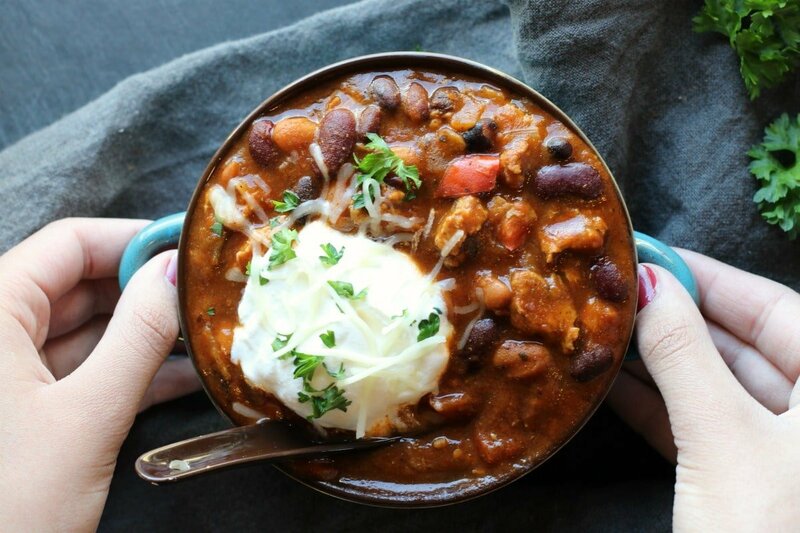 Slow Cooker Turkey Chili; packed with protein and fiber, this healthy and hearty turkey chili will keep you warm and cozy all winter long. Brr-brrrr… One of the (many) perks of working from home is that winter is never too painful. But of course I still have my second job as a chauffeur for my kids, which get’s me out of the house enough to notice that winter is definitely here! 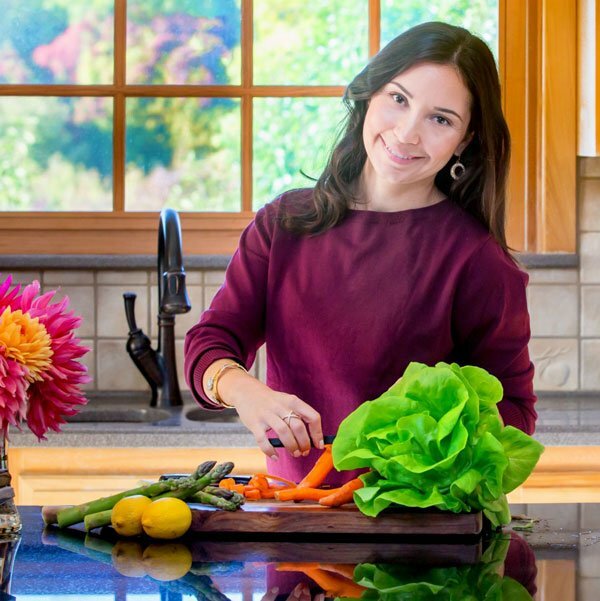 Naturally, when the weather gets cold our body crave warm, heavier and more filling foods. To me, that’s a great indicator that it is time to take the Crock Pot out of storage and start making some amazing meals. 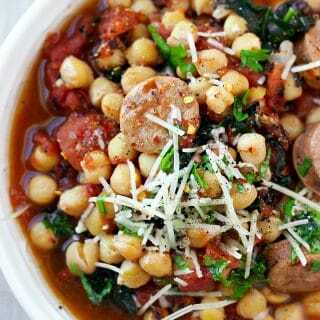 NOTE: This recipe has been updated with Instant Pot instructions! One of my all-time favorite food is Chili. Given the fact that I grew up eating beans daily, this food seems to fit me like a glove. I honestly eat chili all year round, like no problem at all 🙂 However, there is something extra special about making chili on cold winter day. And when you add the Crock Pot into the mix, you literally have a combination for the most perfect comforting and cozy day. But did you know I have been trying to make the perfect chili for years? From having tried so many chili recipes, I had pretty high standards and I wasn’t going to settle for just any chili recipe. So I tried so many different combination of beans, spices and cooking methods until (drum roll please!) TAH-DAH! This very recipe you see here. This is -my friends, the last chili recipe you will ever try, because once you make it exactly as you see here, you will be sold! So here is the deal, if you actually read my posts and don’t just jump to the recipe, you notice that I am pretty flexible when it comes to my recipes and often times I suggest other ingredients, replacements, options to add or take away, etc… but not this recipe! oh no no no… do NOT change a thing! 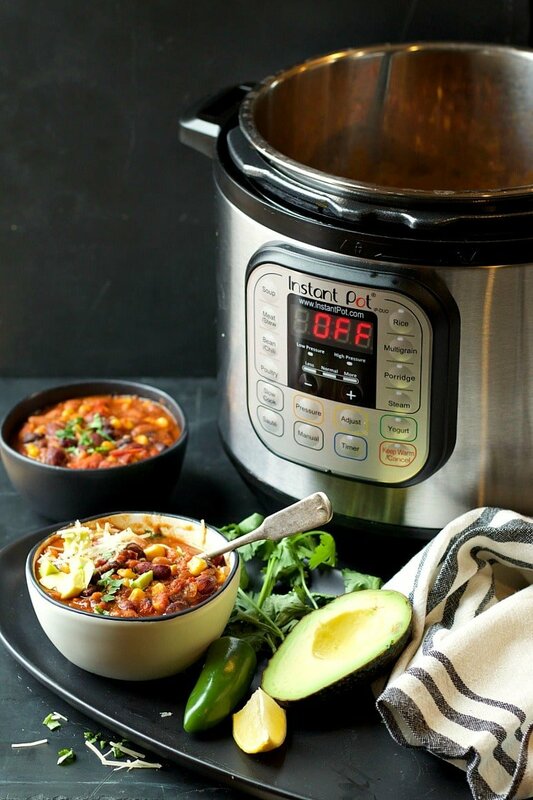 For a FASTER option check out this Instant Pot Supersonic Chili! This recipe is so delicious. 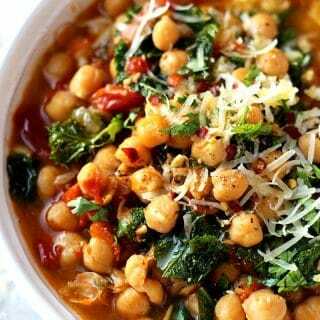 Incredibly filling, tasty and warming. 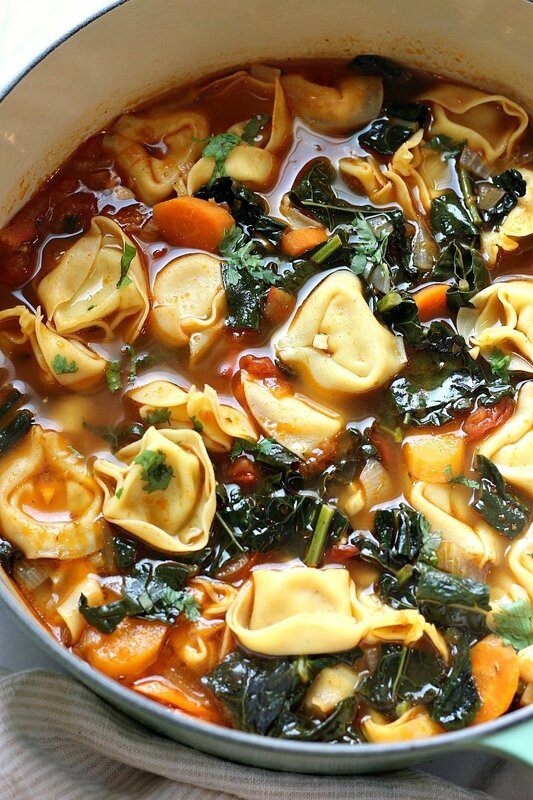 The kind of comfort food your body will crave over and over. The best part is, this turkey chili soup is healthy, packed with protein and fiber to keep your belly full for a while. 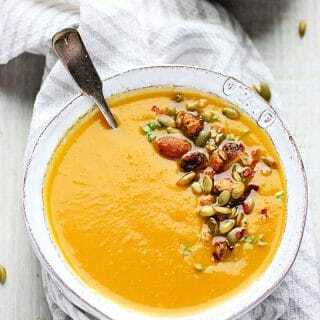 However, if you are dead set into a lighter version of comfort food, try this Butternut Squash & Turmeric Soup. 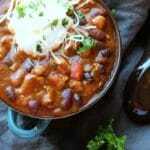 Healthy and Hearty Slow Cooker Turkey Chili to keep you warm and cozy all winter! Add the first five ingredients to the slow cooker/ crockpot and stir to combine. Cover and turn on high. In a large skillet heat the olive oil. Add the onion, garlic and red pepper and cook until soft and fragrant (3-5 minutes). Add the ground turkey and cook until no longer pink. Be sure to stir and break turkey into small chunks (10-12 mins). Add the salt, spices and seasoning, mix to combine. Next add in the tomato paste, chicken broth and brown rice flour to create a thick and flavorful broth. 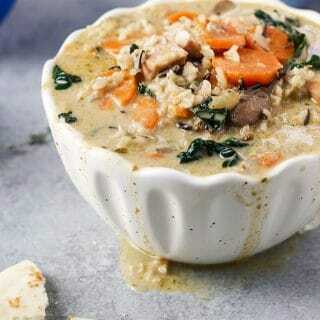 Pour the skillet content into the slow cooker/ crockpot, mix. Cover tightly and cook on high for 2 1/2 hours. When done serve with corn bread, sour cream and fresh parsley or cilantro. Turn the Instant Pot on sauté mode. When hot add in oil, onion, garlic and red pepper and cook until fragrant (3-5 minutes). Add in ground turkey and cook, stirring often until no longer pink (10-12 minutes). Season with salt, spices and seasoning, mix to combine. Add in broth and sauté for another minute or so. Start to add in the beans one by one and finally add the pasta sauce. Give it a final quick stir. Cover the Instant pot and seal the venting valve. Turn off sauté mode and switch to high pressure. Cook for 3 minutes. When done, quickly release pressure. Open and serve! I love that you’ve been trying to make chili for years in hopes of finding the perfect one and that you never gave up. Really glad you didn’t because this one looks so delicious and hearty. Tempted to eat my screen just from reading your description. Great job with this one, already can’t wait to see what you cook up next! Silvia, what kind of red pepper? Is that a bell pepper? Or a chili pepper? Want to make this, but want to make sure exactly as you directed. Thanks. Never mind the diet! Let´s indulge! This recipe is an all around winner in my book! 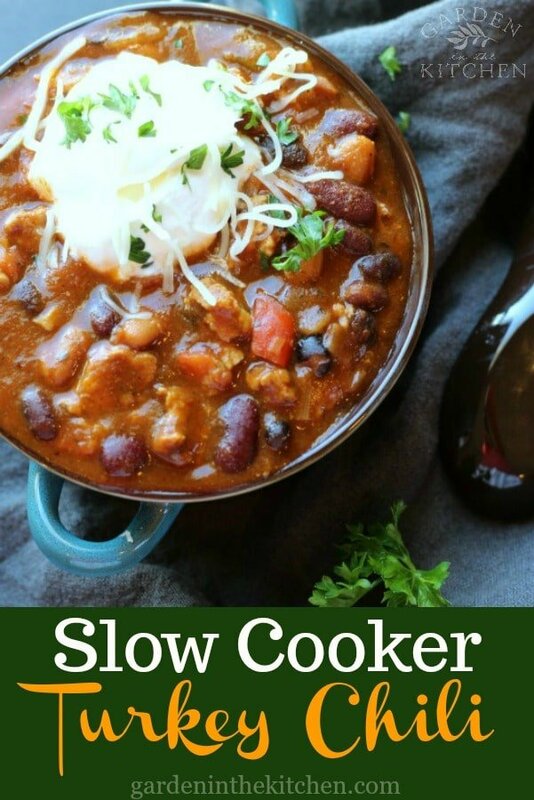 I’m all about the ease of slow cooker dinners, and when they are also delicious and healthy, I’m sold. I can’t wait to come home from work and find this waiting for me. What are the nutritional value’s of this chili. I made it and it was superb, but my wife has to watch what she eats. This information would be helpful. Hi John! I am so glad you and your wife enjoy my Turkey Chili recipe. To answer your question I’ve created a nutritional label and will email it to you shortly, as I wasn’t able to post it here. Hope it helps, otherwise let me know if your have further questions. Thanks! 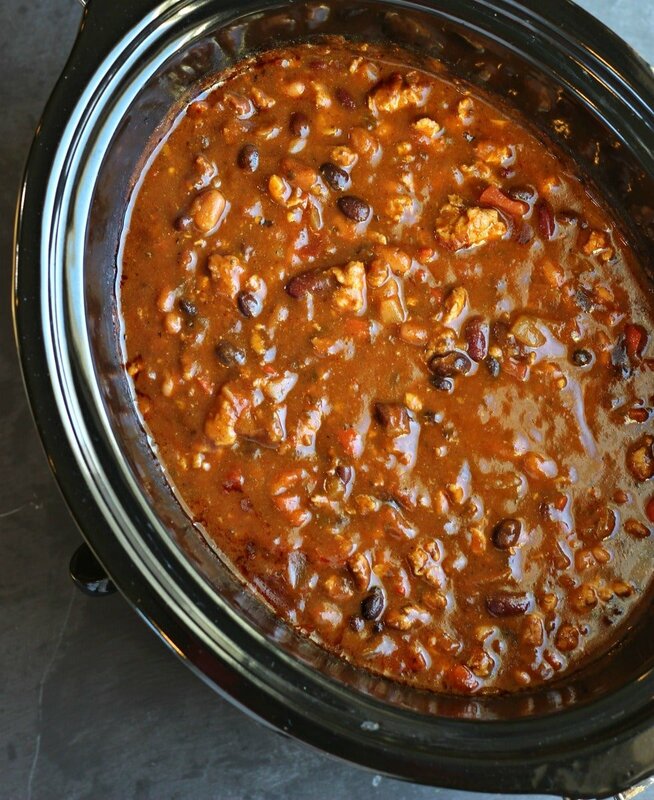 Hello, I love this turkey chili recipe but can’t find the nutrition info anywhere. Can you please send to me? Hello! I would love to try this! I was just wondering if I could use any flour (instead of the brown rice flour)? Can you share the nutritional information and serving size information? Thanks so much! What size of slow cooker is this recipe for? I have a 5 quart. Thanks!!! What if I wanted to use dry beans instead of canned? 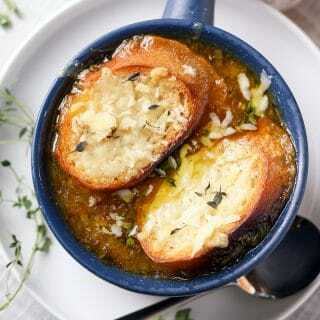 How would I alter the recipe? 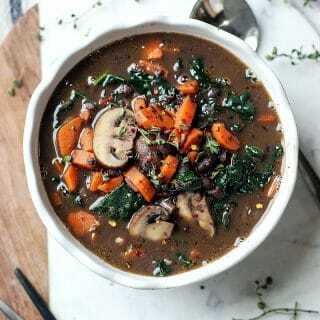 You would not need to make alterations to the recipe, just use the same amount of beans. Assuming that you are cooking the beans separately, otherwise they won’t cook properly. I cook dry beans all the time but they take a long time to cook. I usually soak them for 12-24 hours then cook in a pressure cooker for about an hour. Hope this helps, let me know if you have further questions. Thanks! Could you tell me the serving size for the label that’s posted? Got about 8 minutes left until it’s done! I can’t wait! It smells amazing! So is it pasta sauce or plain tomato sauce, because those are two different things? Hi Jennifer, thanks for the observation. It is pasta sauce, from glass jar not tomato sauce from can. Thank you! Omg it is the best ever!!! My kids even loved it!!! Thank you!! Hi! I was only able to find pasta sauce that is basil based. Will that create a weird flavor for the chili? Thanks! This recipe looks delicious! How long do you think it would need to cook if I put the slow cooker on low? I work full-time, so I would have to come home during lunch to put it together, but it would still be about 4-5 hours before I could get back to it. I don’t eat meat, but my boys LOVED it, and it’s super easy to make. It’s a win win. So happy to hear Karlie! I have reduced my meat intake to about 5-10% also, which is why I made two other chili recipes without meat. You might want to check them out for yourself! Any chance you can put the turkey in the crock pot without cooking it first? I work full time and can’t come home at lunch to put it together! To assure that the meat is cooked thoroughly it’s safer to brown the meat first. However to make it easier for you, I suggest that throw the turkey in a skillet to brown quickly, without the spices and all. While the turkey cooks you add all the ingredients to the crock pot, then you add the brown turkey, close it a let it cook together. I find that my original method of adding the spices to the skillet adds more flavor, but you can just add the spices to the crock pot instead, but quickly brown the meat first. Hope this helps and let me know how it comes out! 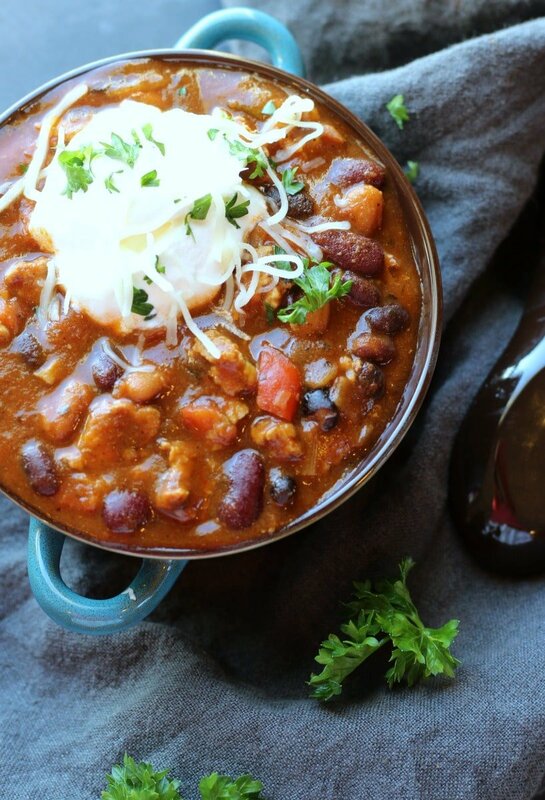 I can eat this chili recipe all year long. So good! I love this recipe, it really is quite easy to put together and make, some people were saying they didn’t have time to cook the turkey because they work and can’t get home, I have the same problem and all I did was cook the turkey the night before, placed it in the fridge and then come morning I just followed the recipe and everything came out great. Had a beautiful dinner waiting for me and my boys when I got home from work. Could you alK send me the nutritional information? We absolutely love this recipe. Thank you so much for sharing! So happy to hear Andrea! Unfortunate the current recipe plug in I use does not calculate the nutritional information. There should be some apps available on google but I personally don’t know of any to recommend. Hope this helps!